The BankAmericard® credit card is a great option for anyone looking to take advantage of balance transfers. This card does not charge an annual fee either, which is always a welcomed perk. Cardholders will also be pleased to know that Bank of America has been repeatedly recognized for its fraud prevention, detection and resolution by consumer advocacy groups. All these things together, along with an ongoing APR that is lower than similar balance transfer credit cards, have earned this card our 2019 CardRatings Editor's Choice award. Generous 0 percent intro APR for 18 billing cycles on qualifying purchases and balance transfers made within the first 60 days, then 15.24% - 25.24% Variable APR on purchases and 15.24% - 25.24% Variable APR on balance transfers (a fee of either $10 or 3% of the amount of each transaction, whichever is greater, applies to all transfers). Save with an introductory 0 percent interest on purchases and on balance transfers made within the first 60 days for the first 18 billing cycles (then, 15.24% - 25.24% Variable APR on purchases and 15.24% - 25.24% Variable APR on balance transfers). With its text-banking feature, this no-annual-fee card is perfect for someone who wants to stay in control of their credit-card usage. Rest assured with 0 percent fraud liability protection. 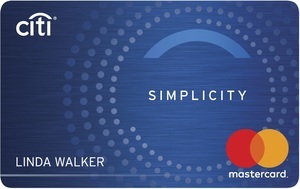 This no-frills card does not offer rewards for cardholders, but that isn't unusual for a balance transfer-focused card. The BankAmericard® credit card offers a $0 Liability Guarantee. In the event someone steals your credit card, or uses your account information to make unauthorized purchases, you won’t be on the hook. Text banking also makes managing finances easier, especially if you’re new to using a credit card. Send a text message to Bank of America and you’ll get an immediate reply with details on account balances, recent transactions and a searchable transaction history. This is a great way to keep your spending in check. The biggest drawback with this card is the lack of rewards. There is no sign-up bonus nor any ongoing rewards to take advantage of. 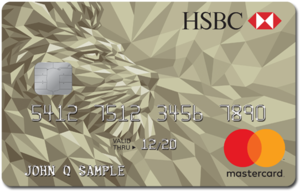 Once the introductory APR has run out, this card doesn't offer anything in the way of rewards earning. If you don't NEED the introductory balance transfer or purchase offer, you'd probably be better off with a card that offers you some rewards-earning opportunities. Basically, the Barclaycard could be a better choice for you if you need longer than an intro period to pay down your balance or you know that you carry a balance from time to time. With the Barclaycard Ring® Mastercard®, you will pay less in interest than you would with most other cards. For consumers who want to level up and get cash back for money they planned to spend anyway, the Bank of America® Cash Rewards credit card is a good option. The card offers a $200 online cash rewards bonus after you make at least $1,000 in purchases in the first 90 days of account opening. This card also has a new offer: Maximize your cash back in the category of your choice: gas, online shopping, dining, travel, drug stores, or home improvement/furnishing. Now earn 3% cash back in your choice category and 2% at grocery stores and wholesale clubs (up to $2,500 in combined choice category/grocery store/wholesale club quarterly purchases), and unlimited 1% on all other purchases. You can update your choice category for future purchases once each calendar month using the mobile banking app or online banking, or do nothing and it stays the same. Preferred Rewards clients can increase that bonus to 25-75 percent depending on your tier. Bank of America® Cash Rewards credit card offers an intro APR for the first 12 billing cycles on balance transfers and purchases (then, 16.24% - 26.24% Variable APR on purchases and 16.24% - 26.24% Variable APR on balance transfers), while BankAmericard® Credit Card offers 18 billing cycles (then, 15.24% - 25.24% Variable APR on purchases and 15.24% - 25.24% Variable APR on balance transfers). Along with a flat 1.5 percent cash back on all purchases, the Capital One® Quicksilver® Cash Rewards Credit Card also offers a number of intro perks, including a $150 bonus after spending $500 on purchases in the first three months of account opening. If you’d like to earn some rewards with a great introductory rate, the Capital One® Quicksilver® Cash Rewards Credit Card option does offer that opportunity. Plus, again, you can get a $150 welcome bonus after spending $500 with your Capital One® Quicksilver® Cash Rewards Credit Card. The BankAmericard® credit card is designed for people who need a quick balance transfer and time to pay off that balance interest-free rather than those who want to amass rewards. The BankAmericard® credit card is a great option if you're trying to avoid paying interest but had an unexpected expense that you need to make or have already made and now need to transfer. You’ll get just the basics with BankAmericard®, but that may be all you need.